Landscape Tanks based in Wodonga are attractive concrete water tanks with a planter box on top, decorated to suit the decor of your space. Landscape Tanks were launched onto the marketplace in 2008 and have been changing the way people think about water storage. People are amazed to find they can store their rainwater needs inside their structural retaining wall. Plans for the Landscape Tanks were first drawn up in 2002 in response to industry pressure for a high quality, attractive, multipurpose rainwater tank that could also act as a structural retaining wall among many other applications. The concrete retaining walls design of the Landscape Tanks broke new ground as far as retaining wall engineering is concerned. Engineers involved in this innovative project have been involved in the pre-cast concrete and water industry for over 50 years and have won 12 Australian Design Awards for product design excellence including many other associated industry awards. Marketed widely as high-quality concrete structural retaining walls the Landscape Tanks have many applications such as detention systems, front fences, pergola or pool surround, water features, outdoor kitchens and much more. People are adding that WOW factor to their home with these Landscape Tanks. 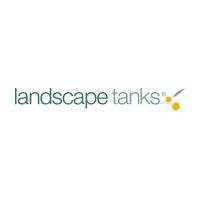 For more information, don't hesitate to call Landscape Tanks today!